The oft-quoted transcendentalist Henry David Thoreau is best known for two works: Walden and Civil Disobedience. Walden, first published in 1854, documents the time Thoreau spent living with nature in a hand-built cabin in the woods near Walden Pond in Massachusetts. A minor work in its own time, Walden burgeoned in popularity during the counter culture movement of the 1960s. 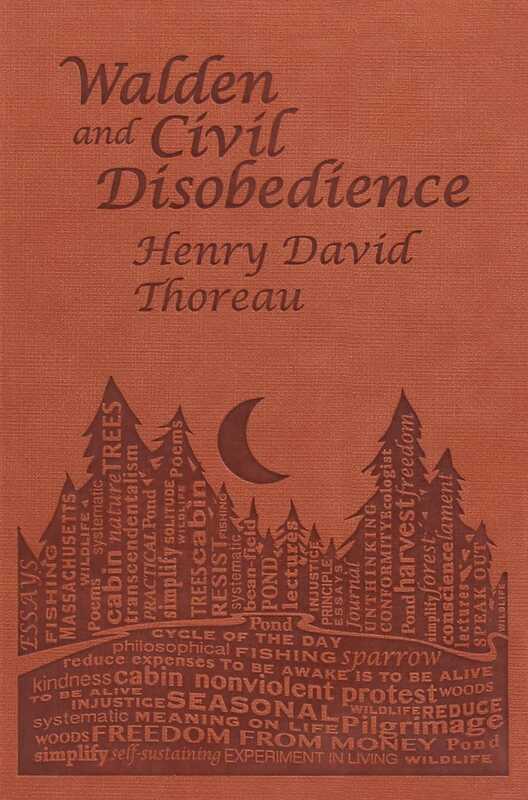 Civil Disobedience is thought to have originated after Thoreau spent a night in jail for refusing to pay taxes to a government with whose policies he did not agree. Assigning greater importance to the conscience of the individual than the governing law, Civil Disobedience is an internationally admired work that is known to have influenced writer Leo Tolstoy and political activist Mahatma Gandhi, and many members of the American Civil Rights Movement. Now available together in one chic and affordable edition as part of the Word Cloud Classics series, Walden and Civil Disobedience makes an attractive addition to any library.